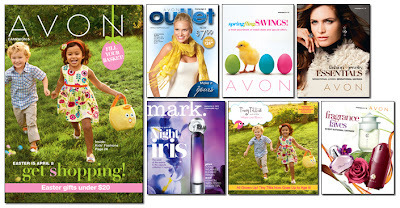 Many people tell me they've never seen an Avon Catalog or didn't know that Avon sold certain items. So in case you're wondering here it is. Also check out the Mark Catalog. Avon has really evolved over the years and what's unique about Avon is that the products are value priced. Try one of the products and you'll see. I'm also offering 20% OFF a $50 order or $10 off any Anew Cream plus a free gift with any order. Just click on the picture or link below and you can click on each catalog to browse. I have a giveway coming soon.